This Quad Display features a heavy duty 1 in. rectangular tube frame around a 3 in. grid panel for extra support and durability. 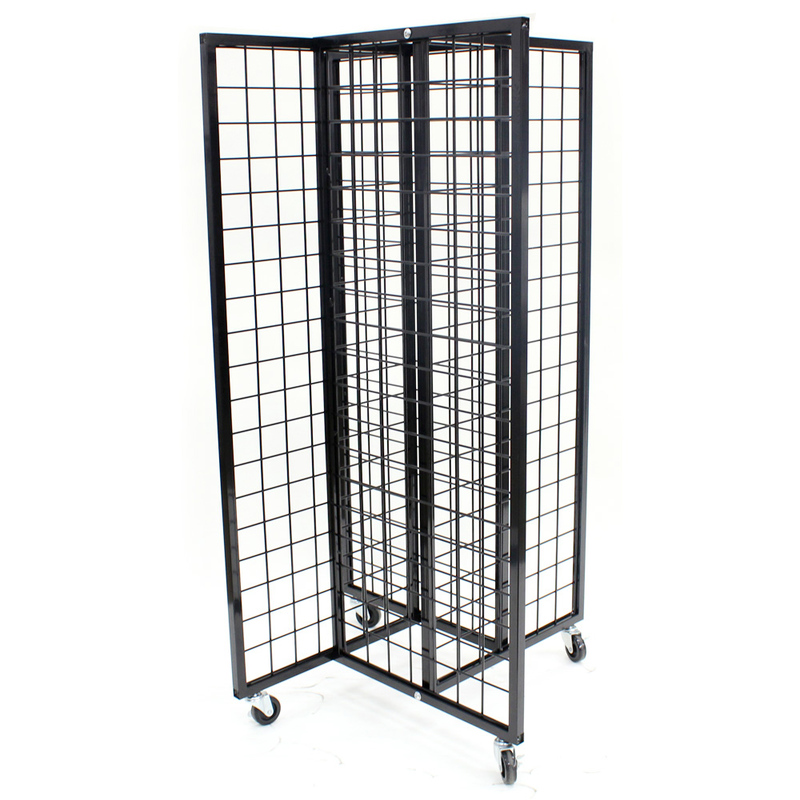 The 4-way merchandiser display has locking E-Z roll casters as well as hardware is included. Ships knocked down to save on shipping and it is easy to assemble. Add any of our grid shelves or accessories to create a display perfect for your products.